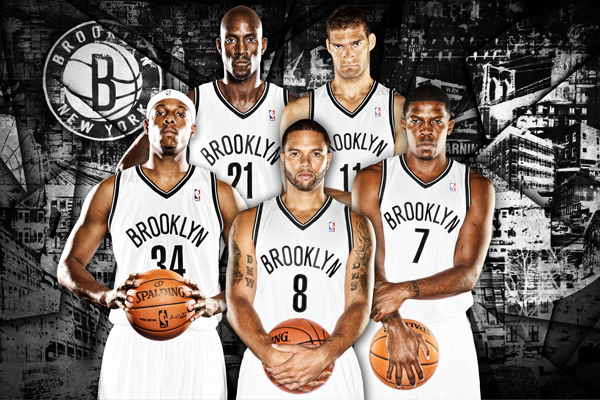 This is for all the Brooklyn Nets fans out there who are feeling the same sort of disappointment and disbelief as I am. Our team is about to miss the playoffs in the Eastern Conference (I am just mentally preparing myself for that) and do not even have their own lottery pick to fall back on. This post is a sort of therapy for me, and hopefully all Nets fans out there. I will try to find some good in the team, while also pointing out unavoidable bad and ugly along the way. We might as well start with the good stuff, since there isn’t much to talk about anyway. Hey, at least the Nets do have a first round draft pick this year! It will be nice to see if they find another Mason Plumlee late in the first round (more on why Brooklyn will be drafting in the late first round under the Ugly). The Nets have had some success in the draft, including finding Markel Brown in the second round who seems to be a really solid bench guy. He has played well this year. In addition to Brown, Plumlee and Thaddeus Young are two other bright spots for the team this year on reasonable contracts. Plumlee is on his rookie deal until 2018, and Thad Young has a player option for next year worth around 9 million dollars. Whether he accepts or declines that, I believe the Nets will keep him for around that much money per year anyway (which would be a good investment). With all the problems financially, at least it appears the team has a found a really good head coach. I loved the Lionel Hollins hiring when it happened and he is the perfect type of coach to help get this team to be competitive again. He preaches defense and toughness, which are two qualities most winning teams have to have. Speaking of money, the last good thing for the Nets is that the huge contracts are starting to (slowly) come off the books. Brook Lopez is rumored to opt out of his contract in search of a long term deal. Whether that is with Brooklyn or another team, Lopez deserves that money with the way he has been playing the last month. The question will Lopez will always be can he stay healthy. Joe Johnson will be in the last year of his deal next year, making him a trade piece as an expiring contract. I hope the Nets take advantage of this and trade Johnson for some pieces or draft picks that could help in the future. Deron Williams will be in the final two years and 43 million dollars of his deal (no, that is not a typo), making him harder to trade. Maybe Billy King can smooth talk Vivek Ranadive and the Kings into taking him? Probably wouldn’t take much smooth talking to be honest. This is real short term problems the team have, making it painful to even think about what the next season or two has in store for this team. Barely any draft picks are on the horizon (I think I’ll save that conversation for the Ugly), and two players making more than 20 million dollars each are still on the payroll for at least next year. The limited amount of cap space, even if Lopez opts out, makes it hard for the Nets to get any significant players in free agency. That means this offseason will include trying to find young players in the draft who aren’t ready to make an impact right away, along with singing young guys (to cheaper contracts) that have potential. The other problem in the very short term is that the Nets can lose maybe their best trade asset for nothing this summer. Brook Lopez can opt out, as I mentioned, and become a unrestricted free agent. The Nets decided not to trade Lopez at the deadline when their reportedly many offers. I hope the Nets bring Lopez back on a reasonable contract because he is one of the better offensive centers in the league, but the potential career-ending foot injury that could happen at any time really scares me. I have tried to keep this short to limit the amount of pain I’ve had to endure while writing this as a Nets fan. I am not sure what to say or where to start. I guess this sums it up best: a few moves made by management where they thought they were building a championship contender all didn’t go as planned. As a result of every move backfiring the team is pretty much screwed until 2019 (the first year where they have their own first round pick again). The saying that comes to mind is fool me once (overpaying and over trading for Joe Johnson) shame on you, fool me twice (really overpaying when trading for Kevin Garnett and Paul Pierce) shame on me. I still cannot figure out how that conversation went between the Celtics and Nets front offices. How did one team end up three older players and the other with 3 first round picks and a couple players like Gerald Wallace who had bad contracts? What makes it worse is none of the three players the Nets got in that trade are still on the team (Pierce signed with Washington, Terry was traded to Sacramento, and Garnett was traded to Minnesota). The one positive side is that Garnett turned into Thad Young, who I like as a stretch four, but still. Well the cold hard truth is there are very few things this team can do to be competing for a championship before 2020. Since that’s the situation the Nets now find themselves in, everything the team does for the next four years should be something that makes them better for the future. 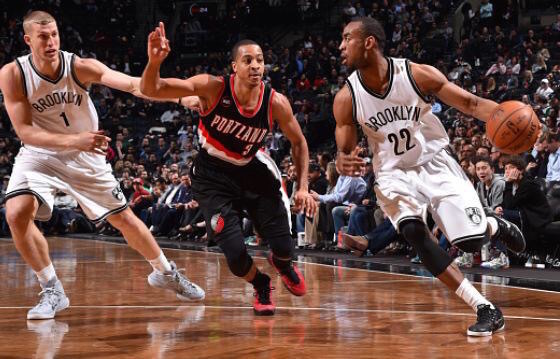 Acquiring Thaddeus Young is a great example of that (assuming the Nets resign him). Signing Brook Lopez long term might not be the right choice, even though think about it: even if the Nets give him a five year deal he’ll be off the books by 2019! Brooklyn has to go into full acquiring assets mode, because that is really the only thing they can do. They can’t tank, because it only helps the Celtics who basically control their pick the next three drafts (sorry to bring that up again). The Nets can’t try to acquire assets the way the Celtics or Sixers currently are because tanking doesn’t help them. I would hope the team would try to obtain players that are good now, but could also be good trade pieces down the road. Oh yeah, acquiring draft picks over the next three years is always a good idea since currently the team has none. While all of this is easier said than done, I can only hope the “Brooklyn” chant will be heard in June at some point in my lifetime. This entry was posted in 14-15 Regular Season, Draft / Offseason, Home, NBA and tagged 2015 NBA Offseason, 2015 NBA Playoffs, Atlanta Hawks, Boston Celtics, Brook Lopez, Brooklyn, Brooklyn Nets, Deron Williams, Joe Johnson, Kevin Garnett, Lionel Hollins, Markel Brown, Mason Plumlee, NBA, Paul Pierce, Realgm.com, the Association, ZML. Bookmark the permalink.